When Jennie and partner Andy bought their three bedroom semi detached house in Ecclesfield, Sheffield it needed some time investing into it – but they saw fantastic potential. Three years later, and the first room to be refurbished was the kitchen. 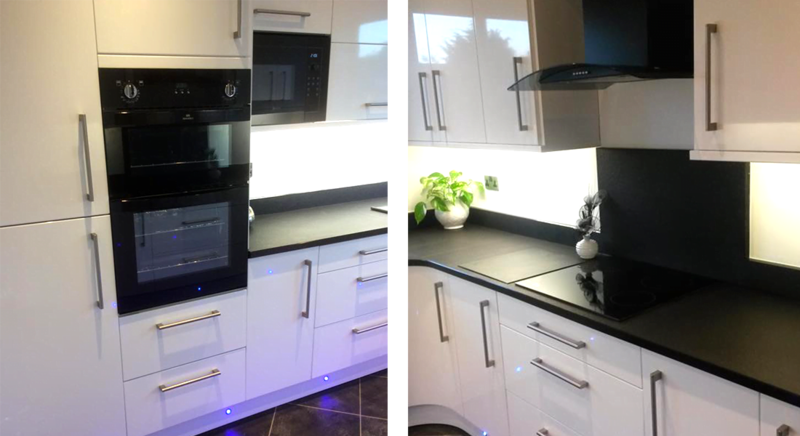 The couple chose Direct Kitchens – being a local company to help them create the beautiful kitchen they had been dreaming of. 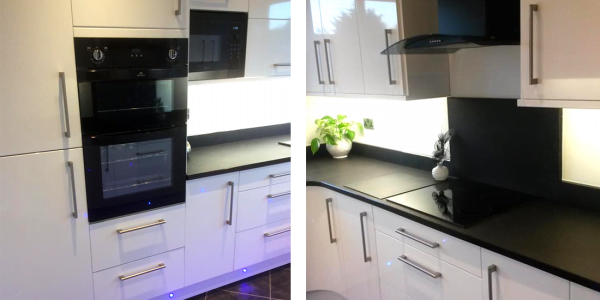 They opted for a classic white gloss kitchen with a black granite worktop and eye catching blue LED under unit lighting. 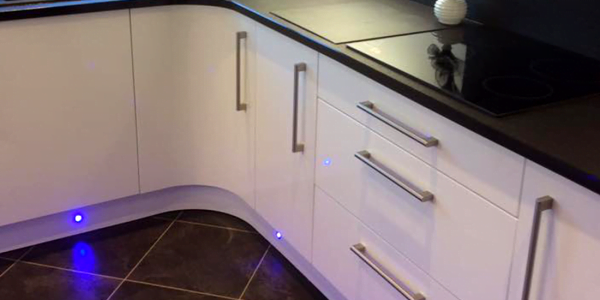 They also chose fully integral appliances including a fridge freezer, microwave, oven and hob and dishwasher. 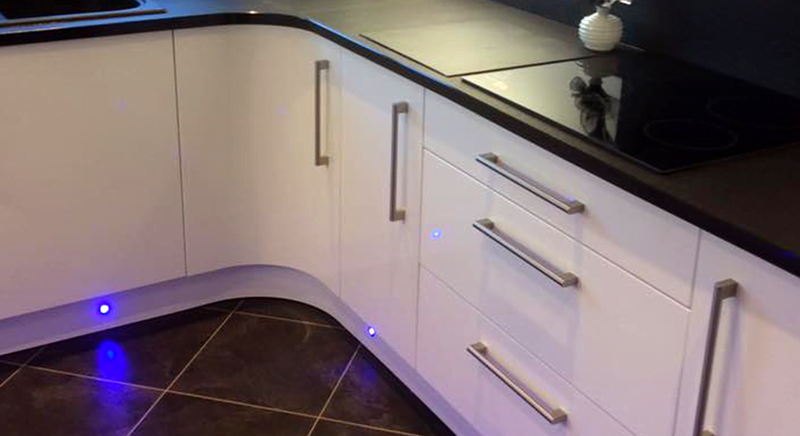 Andy Hurst said: “The Direct Kitchens team were great, they designed and installed our kitchen as well as sorting all the electrics and flooring too.